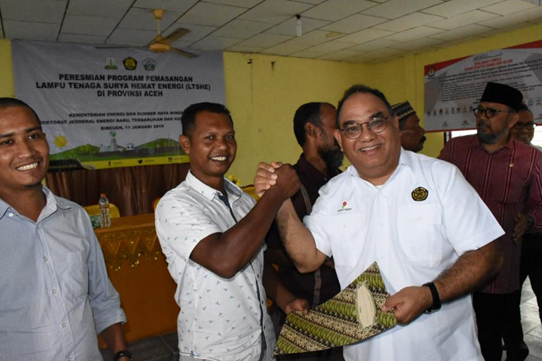 BIREUN - The Government through the Directorate General of New, Renewable and Energy Conservation at the Ministry of Energy and Mineral Resources (ESDM) handed over 376 units of Energy-Saving Solar Lamp (LTSHE) to the Aceh community as part of the LTSHE Installation Program in 2018 last week (11/1) . 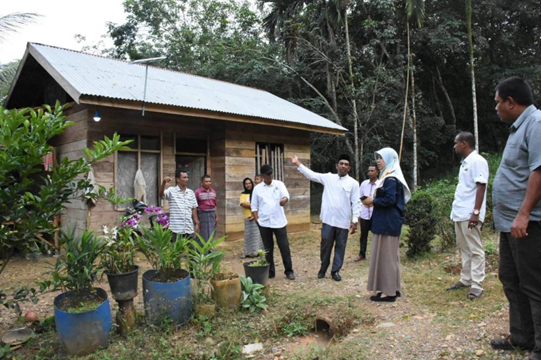 SKK Migas Deputy for Operations, Fatar Yani Firmandez, as the representative of the Ministry of Energy and Mineral Resources revealed that LTSHE is a Government program that provides information for rural villages, isolated areas and there is no electricity network from PLN. "This LTSHE program provides information in the form of 4 (four) lamp units for who have not received light. Hope that the installed LTSHE can be well received and expected to the recipient community to maintain and take care of the LTSHE so that up to 5 years the lights are still can be used , "Fatar Yani said. 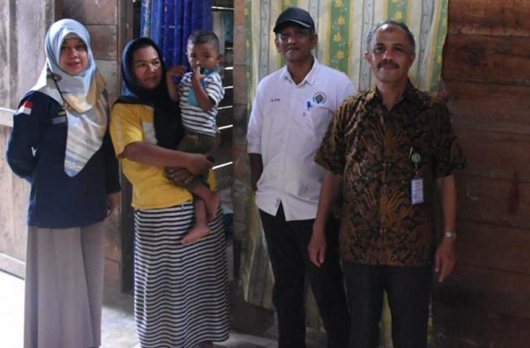 Installation of LTSHE in Aceh Province in 2018 was 376 units spread across 14 villages located in 4 districts, namely East Aceh District, Bireun Regency, North Aceh Regency, and Bener Meriah Regency. The installation of LTSHE in Aceh Province is a proposal from the District Government initiated by the Provincial Government of Nanggroe Aceh. The government hopes that this LTSHE can provide optimal benefits according to its intended life. "The hope is that LTSHE can be beneficial to the community and can function or ignite for 5 years, and if there is damage can report to the village head to be repaired because of a 3-year guarantee from the provider," said Director of Bioenergy, Andriah Feby Misna, who directly observed resident's house that has been installed by the LTSHE. "And it is expected that the Bireuen Regional Government will monitor the LTSHE, and hope that after 3 or 5 years the PLN network will immediately enter areas that have not been reached by electricity,"s he added.